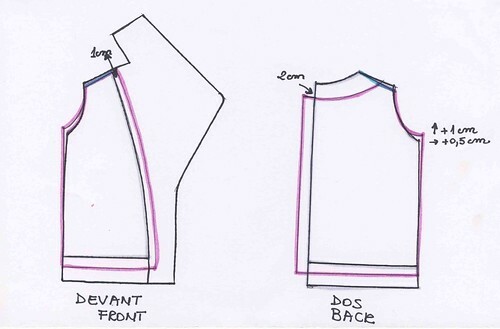 Since we enter the season of coats and lined jackets, I thought it would be useful to do a tutorial on how to draft a made-to-measure pattern for a coat lining. Before thinking of how to bag your coat lining , it is important to cut the lining properly. So let’s take as an example the grey coat I was wearing this week. 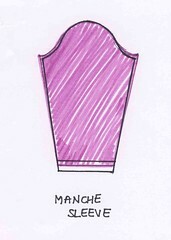 On my pattern for the coat, I drew the facing and the hem in grey, these parts being made of the same fabric as the garment. On the seam line between the lining and the front facing, I added 1 cm for the lining. I enlarged the back pattern with 2 from the center back cm to create the pleat. I shortened the length of the lining with half of the hem width. 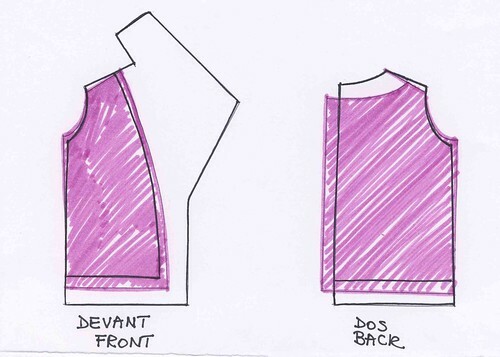 If the coat features shoulder pads, remove the pads thickness from the shoulder line (green). I added 1 cm out from the sideseam and 0.5 cm up from the armhole point. So for the wearing comfort, the lining is larger and shorter than the coat. 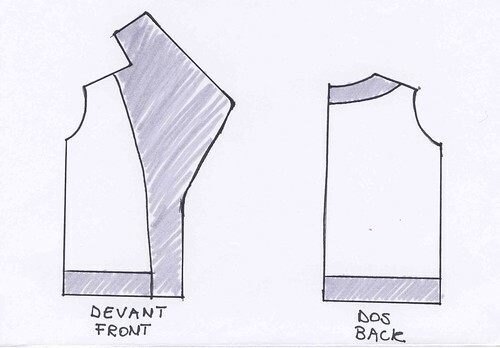 Here is the pattern of the back and front lining. 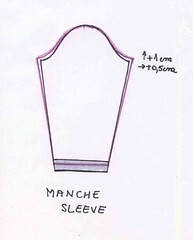 Shorten the hem of the lining with half of the jacket hem. The pattern of the lining is completed. You now need to sew it. But this is another story I am going to share with you very soon. This entry was posted in Patterns and tagged coat, lining. I was looking for jacket lining good explanation and I found your site is very clear. I’m retired pattern maker for about 38 years and it’s long time since I sew a jacket. It’s really nice to refresh my knowledge.